When A- List movie star Ryan Christensen ducked into her pub to escape his screaming fans, never in a million years did Taryn Mitchell think her life was about to change forever. 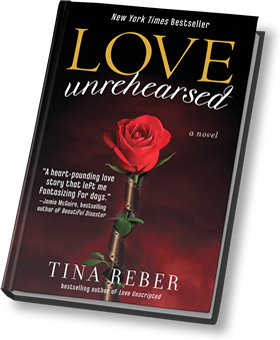 But now, eight months later, after a whirlwind romance, Taryn wakes up in Ryan’s Hollywood hotel room to find a diamond to die for on her left ring finger and her face splashed across the cover of every gossip magazine. Ryan’s very public proposal is catnip to the tabloids, his management team is worried, and Taryn must figure out how a small-town girl like her fits into his glittering world. What does it take to make a relationship work amidst telephoto lenses, daily on-set temptations, and jealous fans who will stop at nothing to keep her from walking down the aisle with the man of her dreams?